This gallery contains images of historic Deadwood, South Dakota. 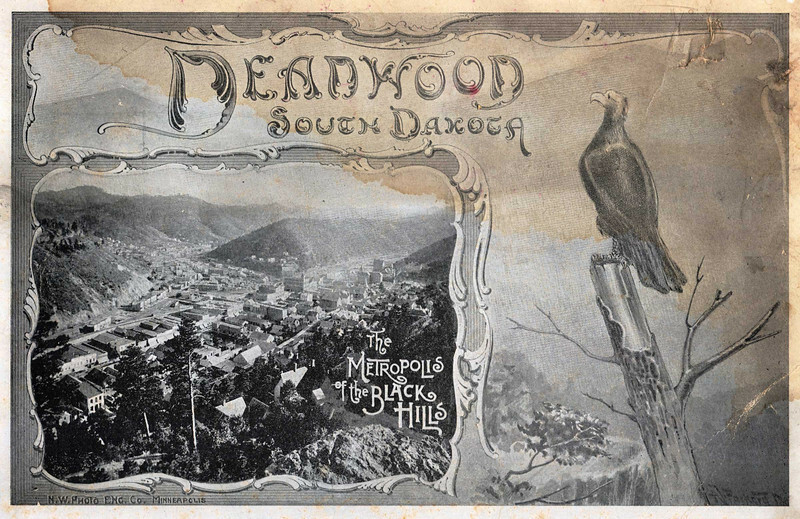 You'll find a few others in our main Lawrence County Historical Society Gallery, but we'll endeavor to place all uniquely historic Deadwood photos in this "Deadwood Images" gallery. As with all of our galleries, you can almost always enjoy a larger version of these images by clicking on the photos and choosing from the "View Size" menu. Enjoy! Cover of an 1892 travel brochure from the collection of Jerry Bryant, Deadwood.